Tameside Karate offer training in Suishin Ito-Ryu Batto-Do (Traditional Japanese Swordsmanship) and Okinawa Kobudo Rengo-Kai Alliance (Traditional Okinawan Weapons). The Japanese word Kobudo translates to Old (Ko) Martial (Bu) Way (Do) and refers to the ancient weapons and traditions of Okinawa. The Japaneses word Batto Do refers to the art of cutting with a sharp blade, where a sword is drawn and dampened, rolled up bamboo mats (to simulate a body) are cut with amazing precision. 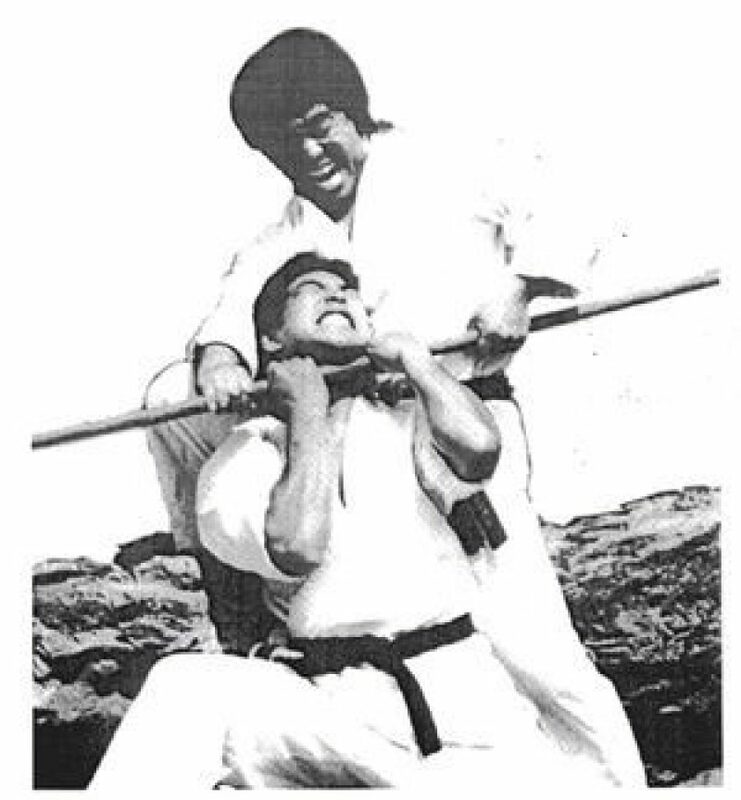 Shihan Fumio Demura was responsible for introducing both Kobudo and Batto Do to Genbu Kai and then the rest of the world. Your journey in to Kobudo will start with the Bo (a six-foot staff, tapered at either end). It was developed from a farming tool called a Tenbin; a stick placed across the shoulders with baskets or sacks hanging from either end. The Bo is considered the 'king' of the Okinawan weapons as all other weapons' defenses are developed against attacks from the Bo. The Bo, along with shorter variations such as the Jo could also have been developed from walking sticks used by travelers, especially monks. It is the earliest of all Okinawan Kobudo weapons, effectively one of the earliest of all weapons in the form of a basic staff, and is traditionally made from red or white oak. Sensei Julian Mallalieu is a 3rd Dan in Suishin Ryu Batto-Do and holds regular training sessions with in Tameside Karate. Shihan Fumio Demura founded the International Batto Do Alliance in 1989 to preserve the teachings of Toyama Ryu Batto Do within Genbu Kai dojos. For more information on our Batto-Do classes please visit our new dedicated Batto-Do website.